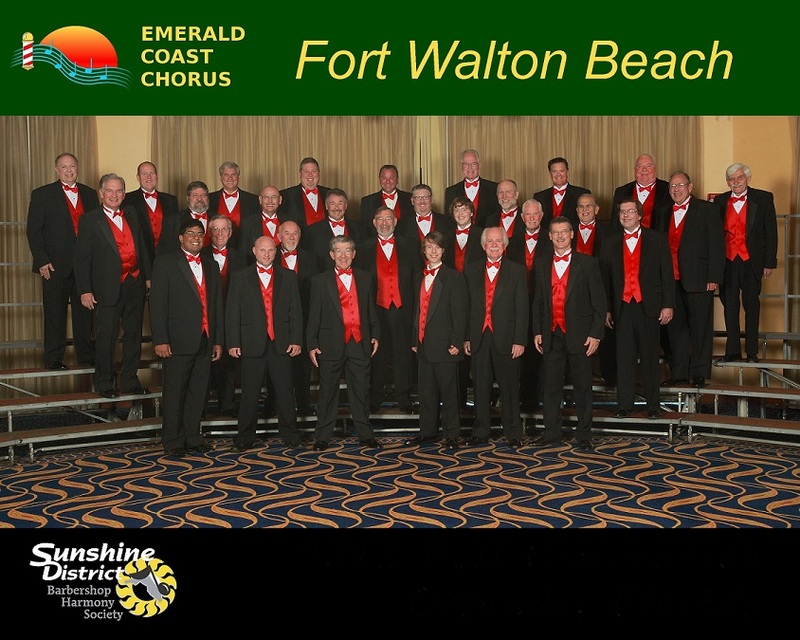 We are the Emerald Coast Chorus from Fort Walton Beach, Florida. We have been a chapter in the Sunshine District of the Barbershop Harmony Society for 40 years. We are a 501(c)(3) non-profit organization who enjoy sharing 4 part barbershop harmony with our community.